Michael Jackson - HQ Scan - Triumph Tour . On the road. Scanned From "Before He Was King" par Todd Gray. HD Wallpaper and background images in the Michael Jackson club tagged: photo michaeljackson kingofpop mjfam hq scan. 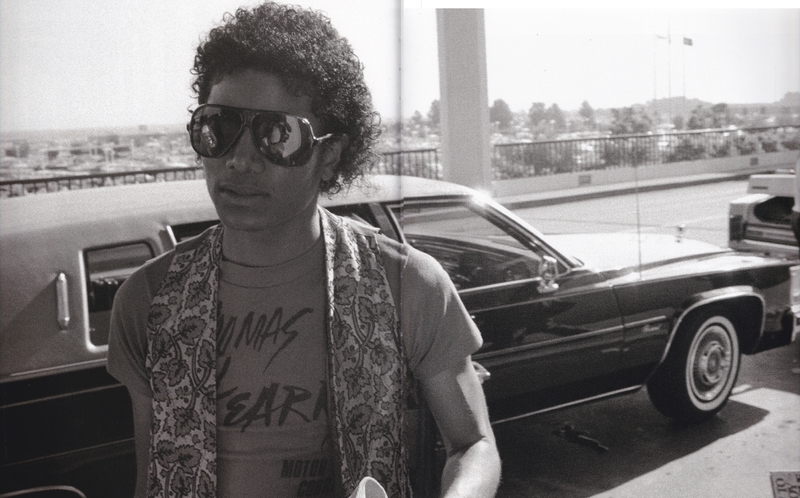 This Michael Jackson photo contains lunettes de soleil, lunettes noires, des nuances, nuances, and lunettes. There might also be rue, scène de ville, milieu urbain, ville, scène, urbain, cadre, and mise en scène de rue.